Flat Org Chart: What Is It About? Home Organizational Chart Skills	Flat Org Chart: What Is It About? 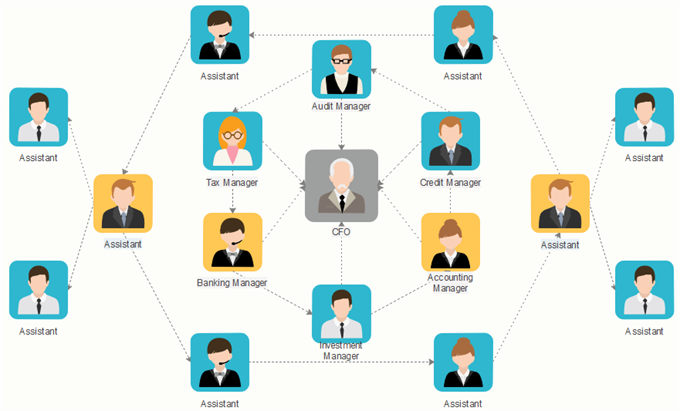 What Is a Flat Org Chart? The flat type organizational structure, which is also called as the self-managed type, only has a few levels of management between general staff and managers. In other words, you would probably see a large number of employees or interns supervised by every single executive. Therefore, in such cases, department leaders in a flat org chart usually have more responsibility than a manager in a traditional hierarchical org chart. Moreover, the main purpose of the flat organizational structure is to empower employee. Reduce unnecessary layers of the managers in order to improve the coordination and productivity. A quicker decision-making process among team members than those companies who have overloaded management positions. Practice personal leadership in an ever more open and free working environment. How about the Key Disadvantages? Flat org charts may bring a feeling of more generalists than specialists. Team leaders may have big pressure in dealing with daily tasks if he or she only has limited experience. May lead to confusion over positions when every general staff reports to one manager. Here are some templates for the flat category. 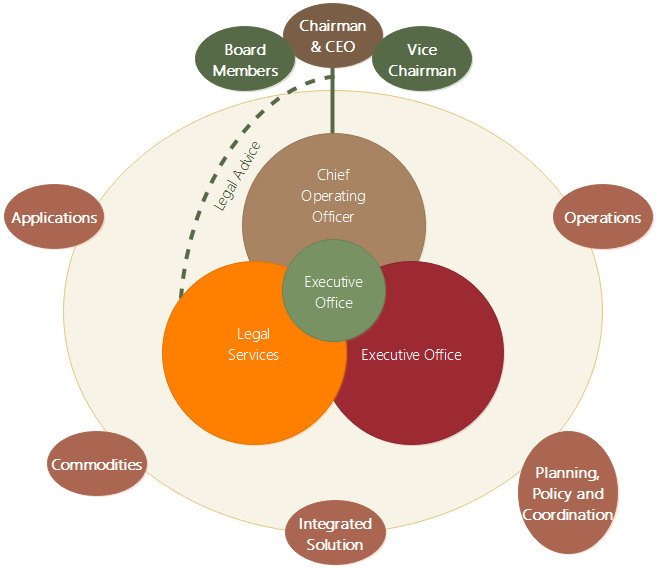 The first one below shows the flat type in a number of circles, where you can see some top management positions are in the middle of the diagram. The second flat org chart here shows a finance department of a company. The basic staff and assistants are all come around the management level. In reality, large-scale enterprises may face more difficulty in adopting the flat type than small or middle-sized companies. For enterprises with over thousands of staff, the use of flat org type could be a big problem unless the CEO set up their firm based on the flat framework since the very beginning. Otherwise, a huge amount of business resources and capitals may be executed. The gaming firm Valve could be a good example of the flat organizational structure. No position titles exist at Valve, and staffs are free to join any ongoing open projects. What’s more, anyone has the opportunity to be the team leader to in charge of funding or hiring new team members. How Could I Draw a Flat Org Chart for My Team? Just check the guide Org chart creator for more features, templates and a free download. Alternatively, simply go for this easy org chart creator for more advanced settings and management of your business teams.